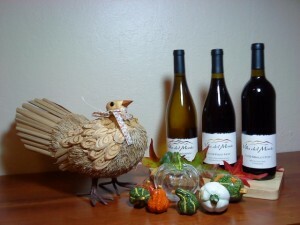 We will be open for wine tasting and wine club pick ups from noon to 5 pm on November 19 and 20. Make plans now to visit the winery, located at 23076 Summit Road in Los Gatos, to taste a selection of our award-winning wines. 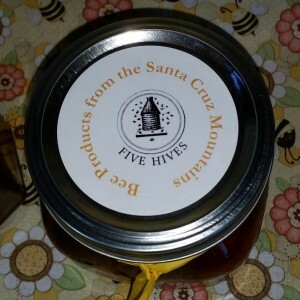 Over the weekend, we will be selling local Santa Cruz Mountains Wildflower Honey from Five Hives Bee Products. The hives are owned, managed, and tended by Villa del Monte winemaker Neil and his family. The 100% pure honey is a light golden color with a mild, slightly sweet flavor and a light floral scent. We let the bees make their own comb in some of the hives so we included chunks of pure, raw honeycomb in most of the jars. Are you entertaining guests over the upcoming holidays? Be sure you have enough wine on hand. If you can’t make it to the winery this weekend, you can purchase Villa del Monte wines from Summit Store, 24197 Summit Road, Los Gatos.